Date: Nov 13 2018, 5:30 p.m. - 6:30 p.m.
Join the Family and MWR Fort Lee Community Library every second Tuesday of the month, for our Read 2 Rover hour with Caring Canines of Richmond. Come out and enjoy an evening of reading with, or showing picture books to, certified therapy dogs from Caring Canines. 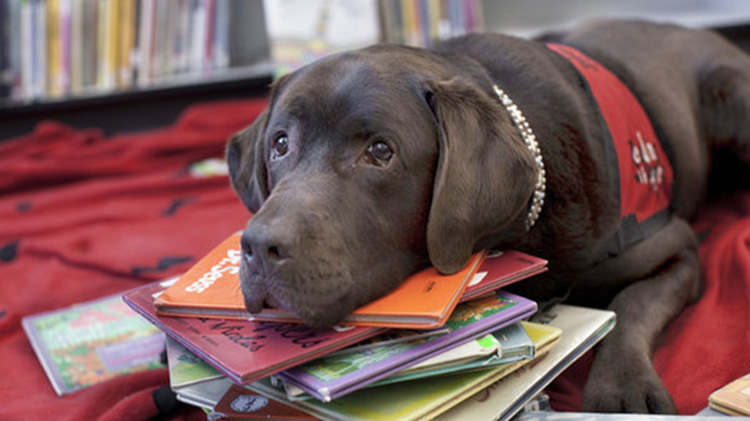 Caring Canines is an all-volunteer therapy dog group that encourages children’s literacy through interaction with the dogs. Open to all ages, come by and pet the dogs. Children 15 and under must be accompanied by a parent or guardian.